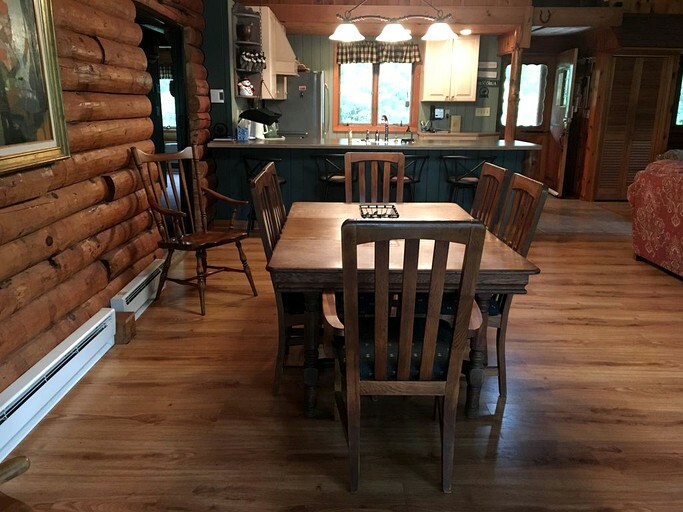 This beautiful log cabin rental is located just south of the White Mountains in Chocorua, New Hampshire, and can accommodate up to nine guests. 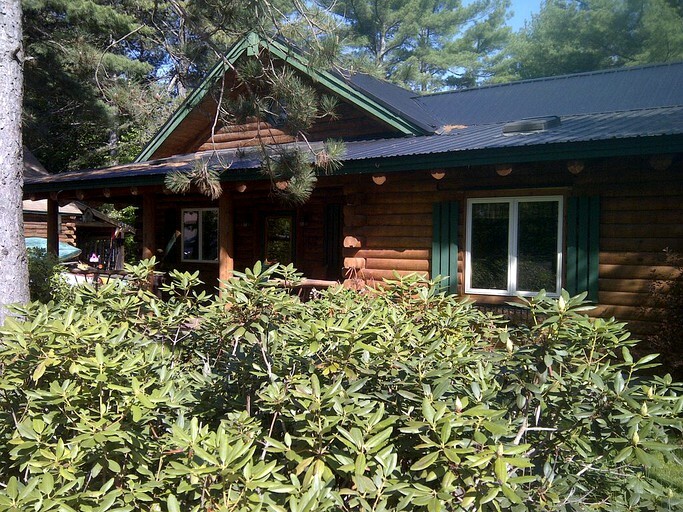 The cabin features five bedrooms and two full bathrooms, as well as a sleeping loft. In the master bedroom, guests will find a luxurious king-size bed and a private ensuite bathroom with a toilet, a sink, a large shower with a bench, and a bathtub. 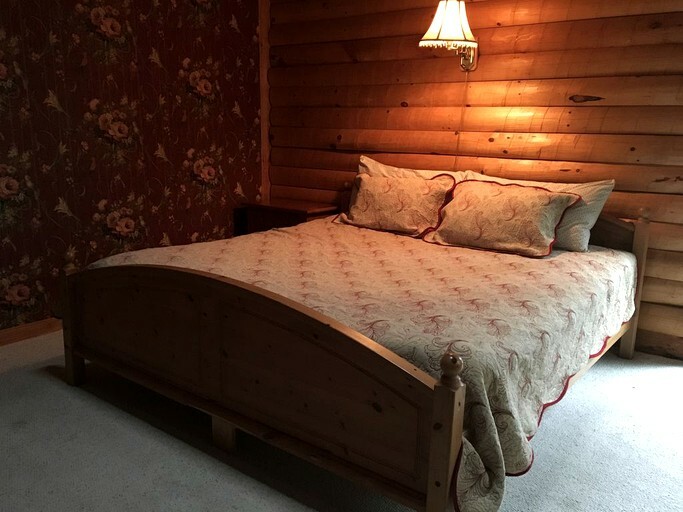 On the lower level, there is a family bedroom suite with a queen-size bed in one room and twin beds in the adjoining room. 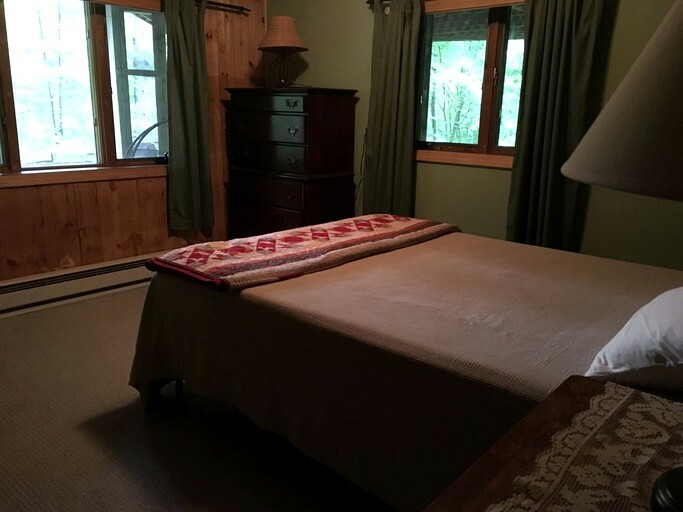 There are two additional bedrooms featuring queen-size beds and a double bed in the sleeping loft. 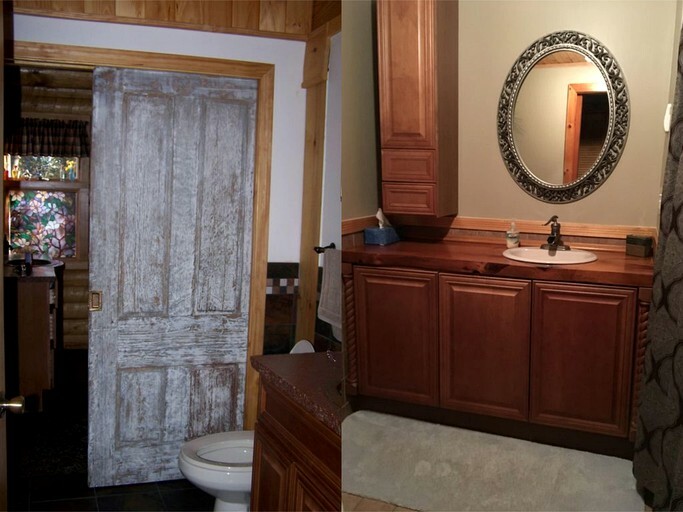 In the second full bathroom, guests will find a toilet, a sink, and a combination shower and bathtub. Linens and towels are provided. 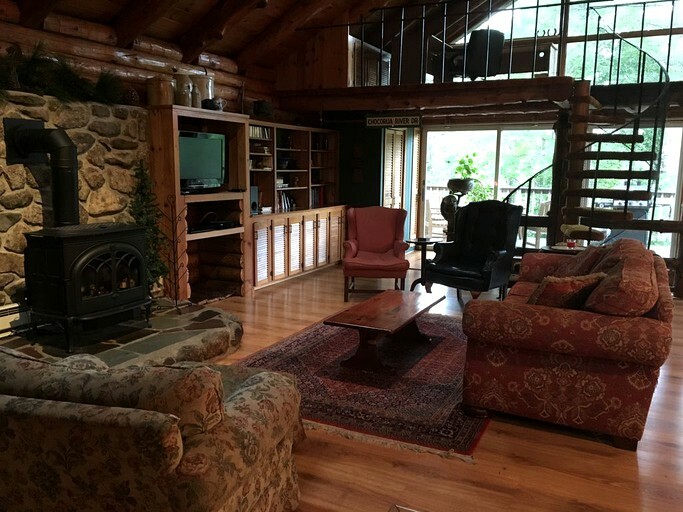 In the spacious living room, guests can relax on the comfortable sofa while watching the flat-screen television or get cozy next to the gas stove/fireplace. 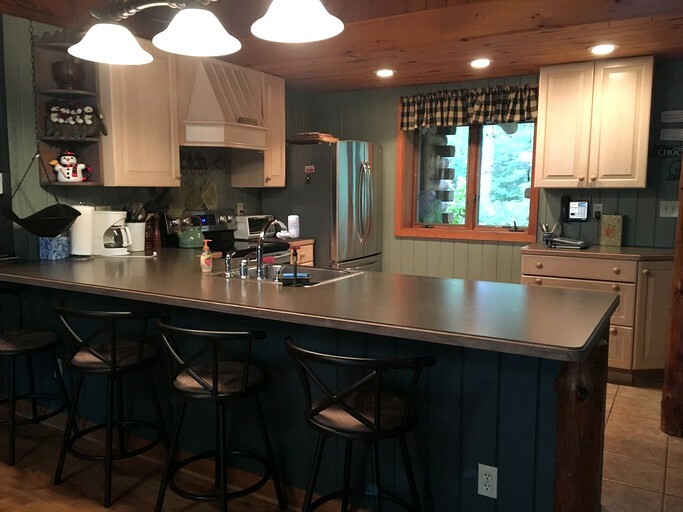 The fully-equipped kitchen comes with a stove, a refrigerator, an oven, a microwave, a toaster, a coffeemaker, and a dishwasher. 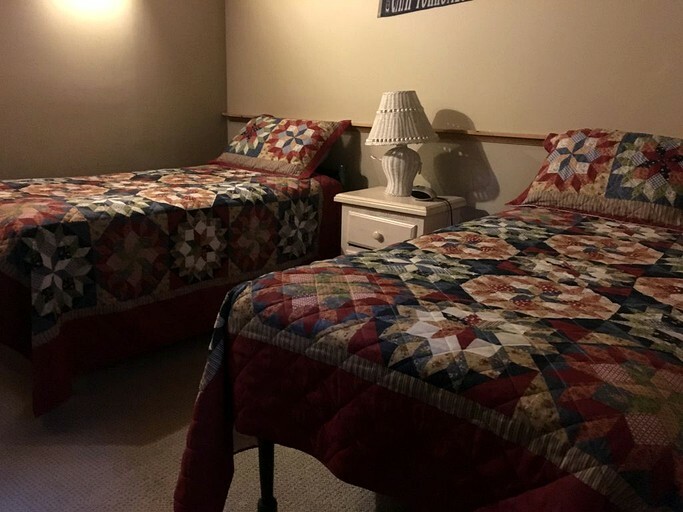 Other amenities include Wi-Fi, a washer and dryer, heating, a telephone, a DVD player, cable television, and on-site parking. 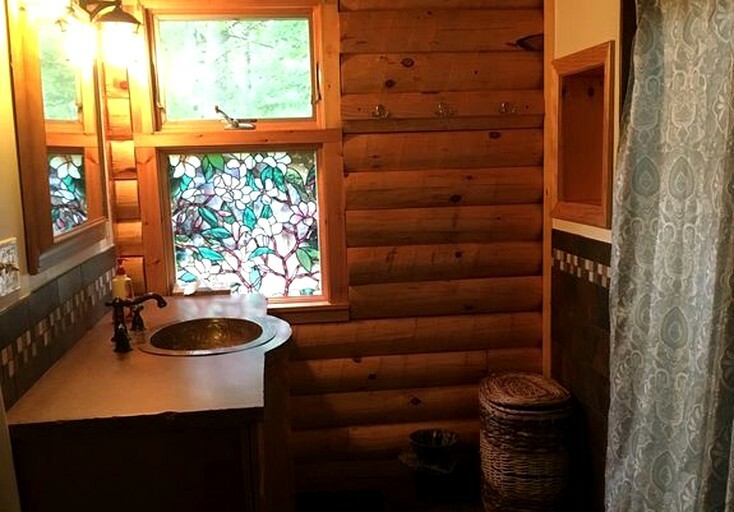 This log cabin features all the modern amenities glampers need for a comfortable and relaxing getaway near the White Mountains. 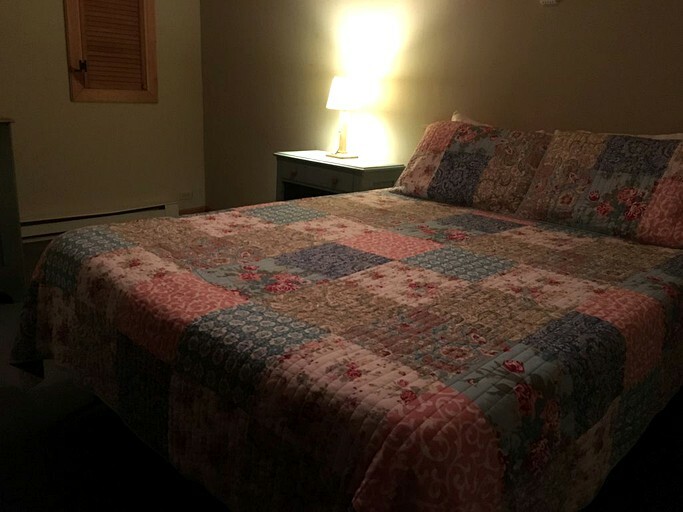 In the cozy living room, guests will find a comfortable sofa, a flat-screen television with cable and a DVD player, and a gas stove/fireplace. 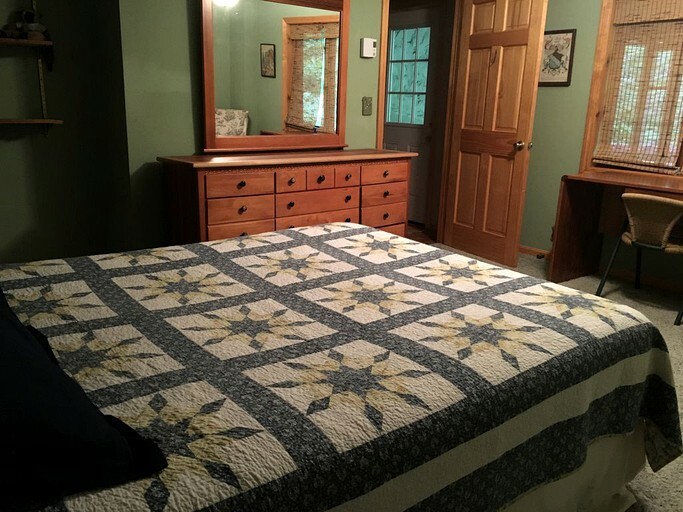 Other amenities include Wi-Fi, a washer and dryer, heating, a telephone, and on-site parking. 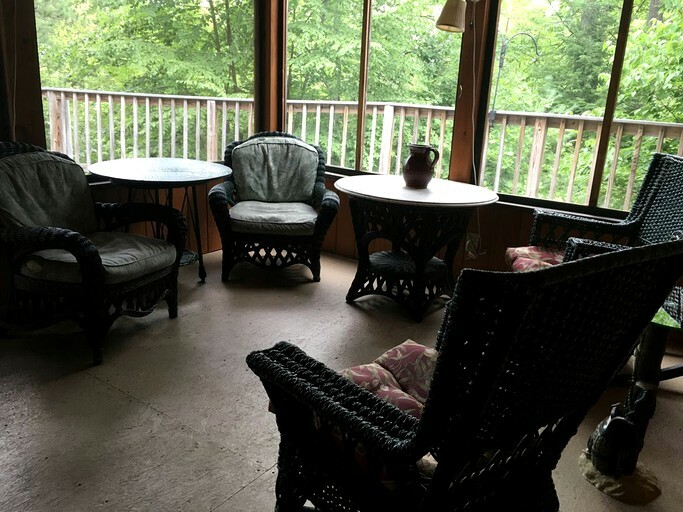 Outside, the cabin features a covered front porch, a screened-in porch with cushioned patio furniture, and a spacious back deck. 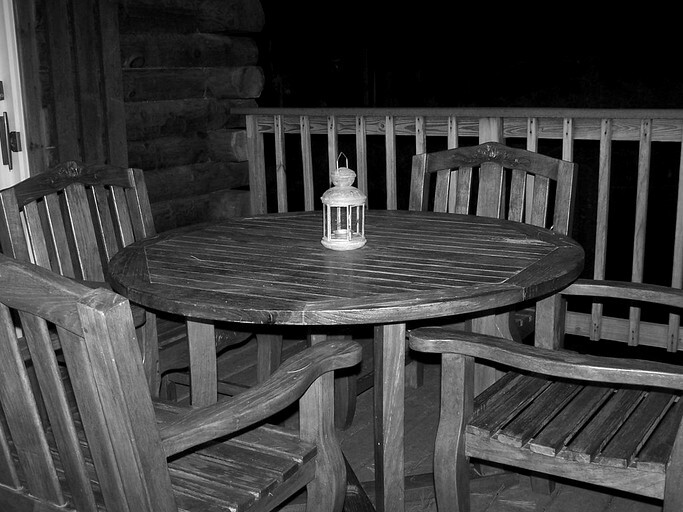 On the deck, glampers can fire up the barbecue for a cookout and gather around the outdoor dining table for meals together in the fresh air. 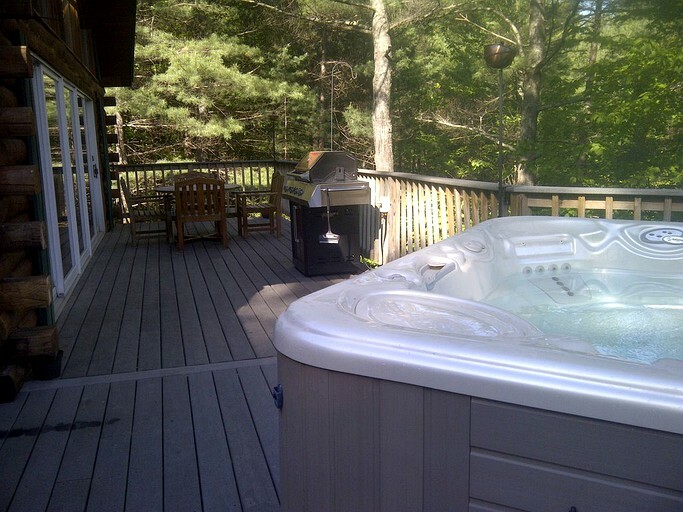 Guests will especially enjoy the luxurious private hot tub and a fire pit in the backyard. 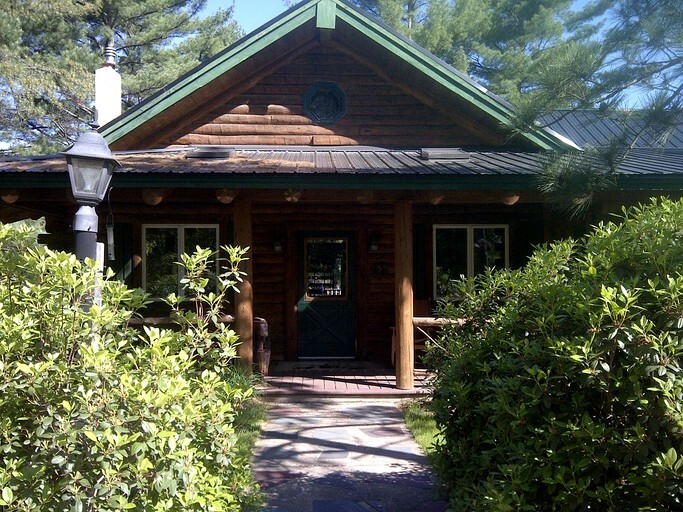 Glampers at this property will also have access to all the shared amenities within the Chocorua Ski & Beach Club community, including a beach and swim docks on Moores Pond, a basketball court, a tennis court, a playground, and nearby hiking and biking trails. Glampers at this unique rental will find countless outdoor activities to enjoy in the Tamworth area. 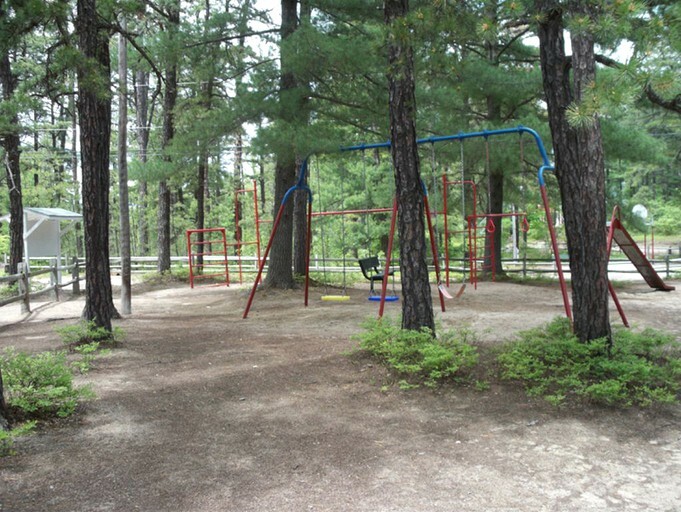 During the winter, popular activities include skiing or snowboarding at one of the nearby ski mountains, ice skating on Moores pond, and snowmobiling on local trails. 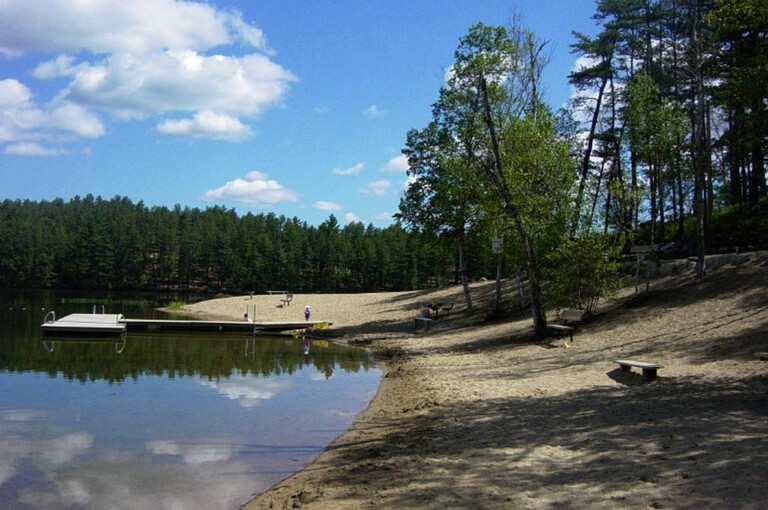 In the summer, the area surrounding the property becomes a paradise for hiking and biking in nearby state parks and forests. Around Mount Chocorua, guests will find several scenic trails to explore, including the Champney Falls Trail leading to a picturesque waterfall. 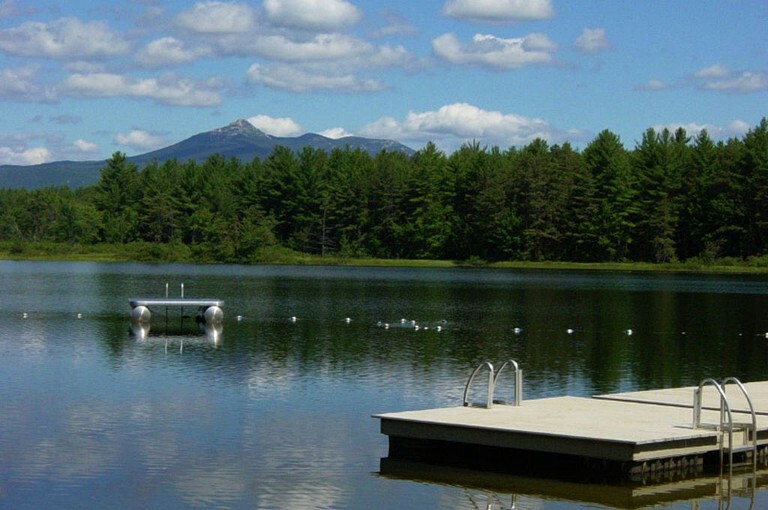 Within the Chocorua Ski & Beach Club community, guests can play basketball or tennis on community courts or enjoy a day of swimming, kayaking, and paddle boating on the peaceful lake. Other popular activities include antiquing, fishing, and rock climbing. 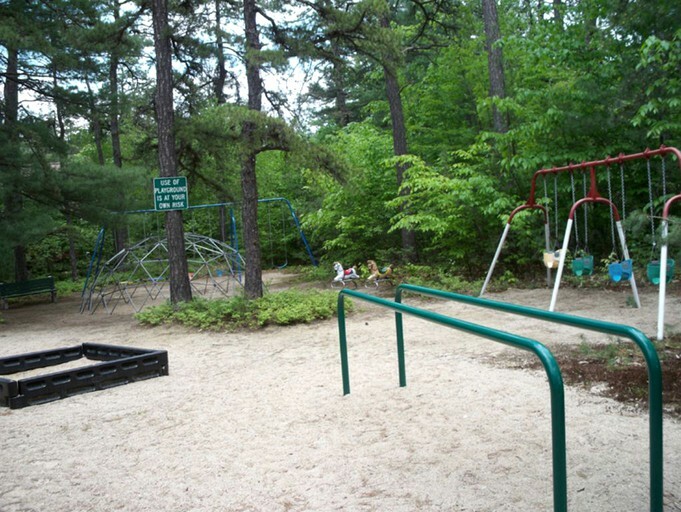 From relaxing in the hot tub to exploring beautiful nature trails and nearby lakes, there’s never a dull moment in Tamworth, New Hampshire. This is a pet-friendly property. Additional pet fees apply. A refundable damage deposit of $350 is required.